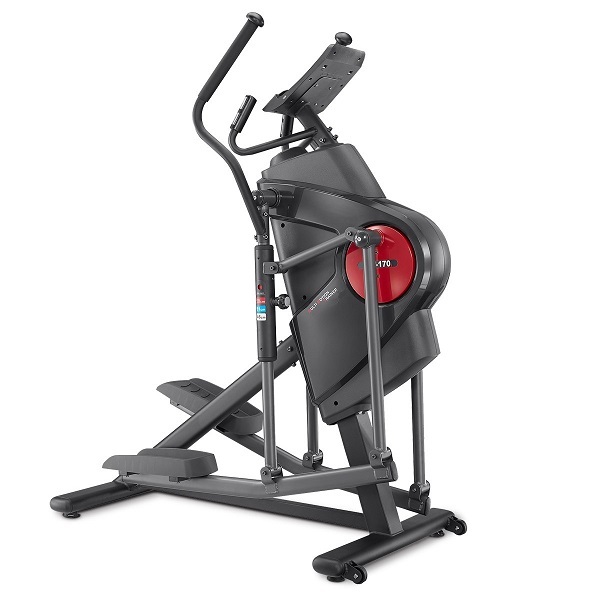 The Reebok C5.1e is part of Reebok’s performance range of fitness equipment. This range represents a significant step-up from the I-Series and even the newly launched Z-Series. Reebok’s designers have ensured that the C5.1e is a an attractive machine. The built quality is also pretty decent with hefty 10kg flywheel and a other heavy duty components making the total rotational mass equal over 20kg. Why does this matter? Simple: the striding action is silky smooth! 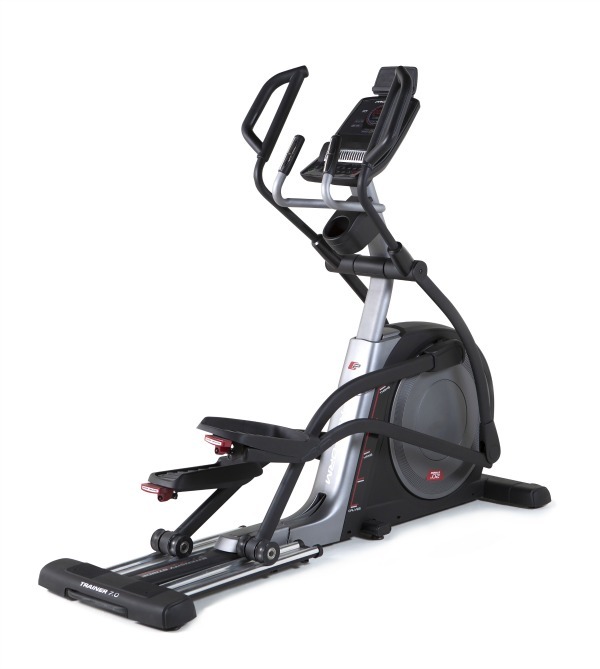 We can confrim that the C5.1e is a very comfortable and sturdy machine to use and its 16″ stride length makes for a natural striding action for pretty much all users under 6 feet in height. The smoothness and natural feel of the stride is enhanced by the design of the uprights for the arms as well as the use of premium components such as a poly-v belt drive and double jointed ball bearings. “User friendly” is the expression that springs to mind over and over again with with the C5.1e. 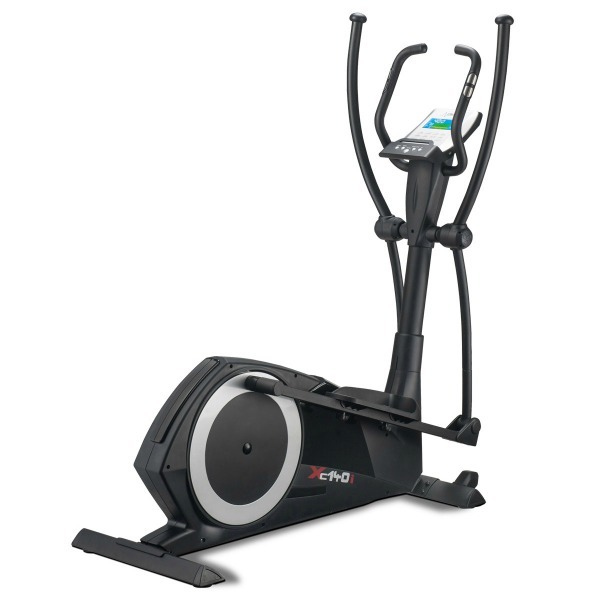 This elliptical trainer has a wealth of features, yet manages to to remain one of the simplest machines on the market to actually use. With the quick start mode, you simply vary the resistance using the console buttons. But we’d recommend setting up a user profile which allows you to enter your gender, age, weight and height. Doing this will enable the machine to factor in your charateristics when calculating that all important calorie consumption figure! 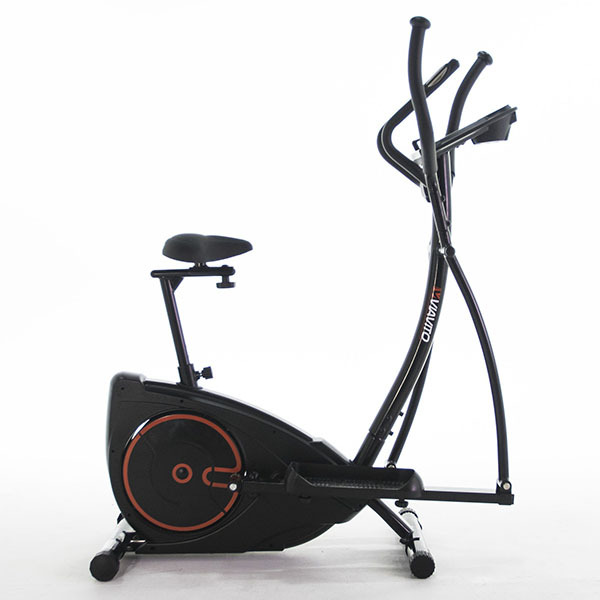 The C5.1e is actually an ergometer, which is a machine that is calibrated to measure the amount of effort being expedited as part of the training. This is calculated using a combination of the computer controlled resistance level and the striding speed and is measured in Watts (just like a light bulb). 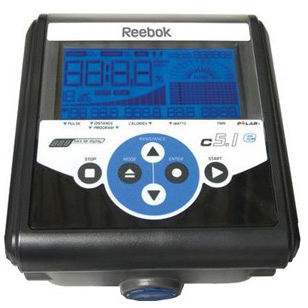 To maximise the usefulness of this functionality, the C5.1e has a constant WATT programme, making it perfect for rehab use. 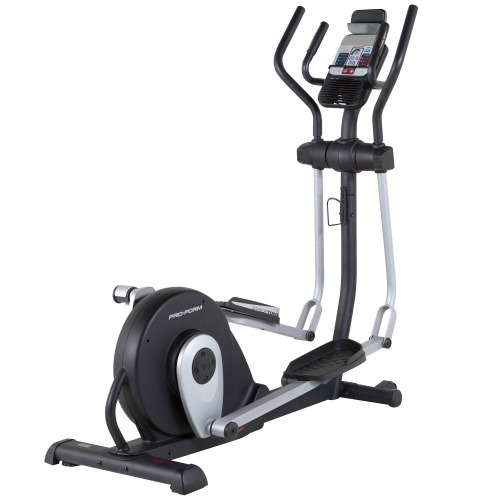 In addition to the constant WATT programme, the Reebok C5.1 elliptical trainer has 8 more programmes. 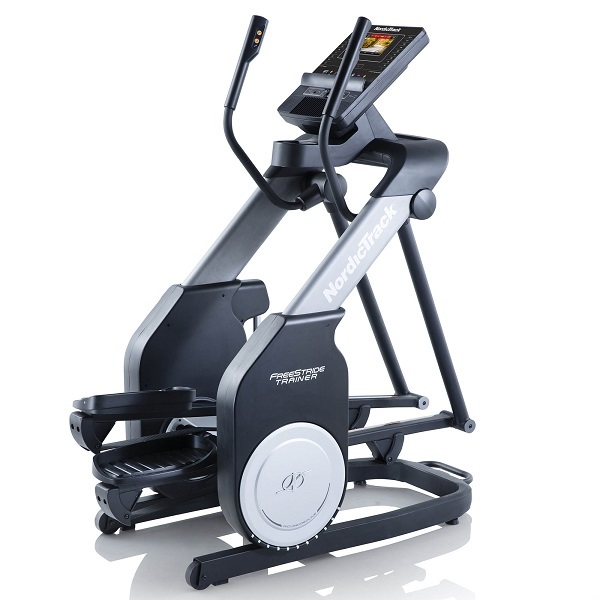 Whilst this doesn’t sound like much in comparison to other cross trainers, the programmes available on the machine are in fact extremely good. This is due to fact that each programme is effectively a programme ‘type’ rather that a specific programme. The first three programmes are target ones (target time, target distance, target calories) where the session goal is set as a number which counts down while you exercise. There is an internal training programme, for which the difficulty level can be set between 1 and 7 in addition to the planned exercise duration. The same logic goes for a fat burn programme as well as an endurance programme. In order to guarantee that boredom can never set in with the C5.1e, there is a ‘random’ programme! 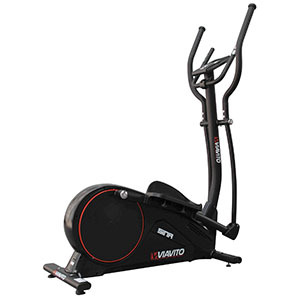 Finally, there is a target heart rate programme that enables a target heart rate to be entered and using the optional wireless chest belt, the machine measures your heart rate every 15 seconds and adjusts the intensity in order to keep you at your target. One thing to note here is that this programme actually adjusts the resistance automatically, rather than just having a display to tell you to go faster or slower to remain within the target heart rate zone. This is a feature very rarely seen on a product at this sort of price point. We’re great fans of heart rate control training as this method of exercise is known to deliver effective, goal orientated results. You should be aware that many other brands would have ended up claiming that a machine like the C5.1e has some 30+ programmes by counting the difficulty level of each programme type as a separate programme! 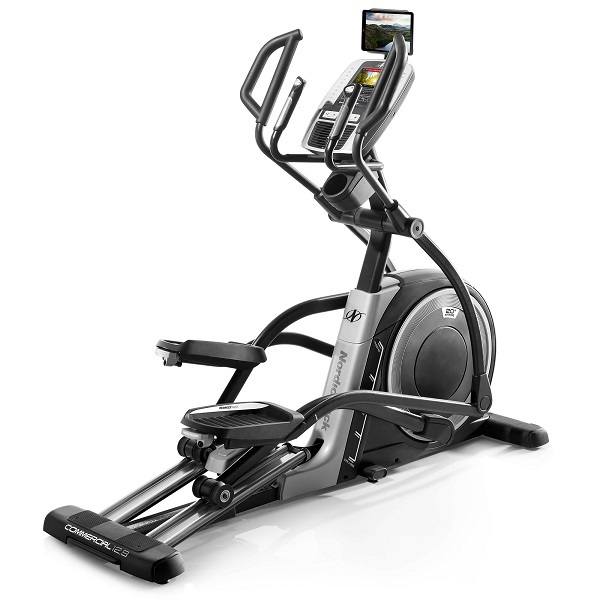 When you put this all together with the design and quality of this Reebok elliptical you’d expect it to be priced well above the £399 price for which the machine is currently available. The Reebok C5.1e is not currently available from any retailers we're aware of in the UK. 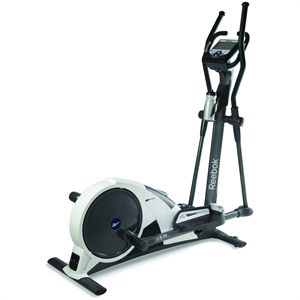 You get a huge amount of high quality kit for the money with the Reebok C5.1e cross trainer. The attention to detail continues into the practical features as well. 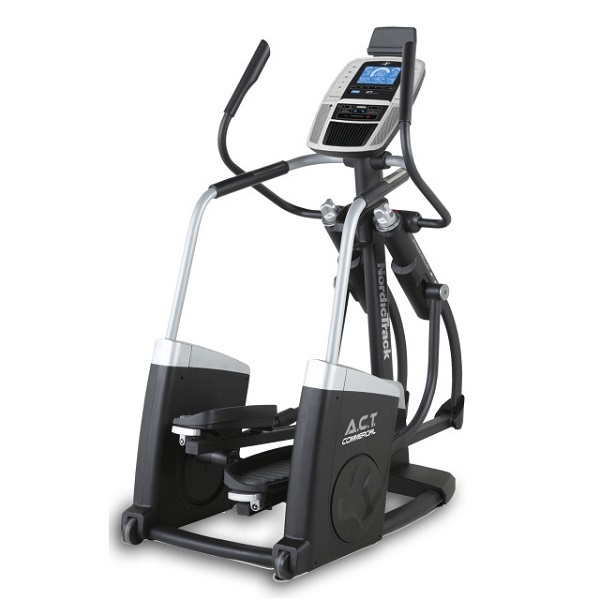 This includes leg levers to ensure that the cross trainer is nice and stable on slightly uneven floors, transport wheels so that the machine can be moved relatively easily and a water bottle holder so that you can keep hydrated while burning those calories! However, one reason not to buy the C5.1 cross trainer is that Reebok are running a promotion with the much higher specification C5.7e IWM for a similar price. We're not sure how long this will last, but it's worth taking advantage whilst available! The console features a very large, back-lit LCD screen which is provides an amazing level of feedback in a very intuitive fashion. In particular, we liked the odometer style display for the striding speed and the clear display of the current resistance level. In terms of feedback, the C5.1e console display is large enough to show all the important exercise data such as heart rate, distance, calories consumed and watts simultaneously. The clear layout of this information is a great help to keep you motivated when you're getting tired: Just seeing how many calories you've burnt can be the difference that keeps you going right the way through to the end of a programme! The buttons on the console are similarly simple and intuitive with the main buttons being a start, stop and two resistance adjustment buttons! In addition, there is an 'enter' button which is used for confirming data being entered into the console and a 'mode' button which is used to toggle the display on different information on the console.